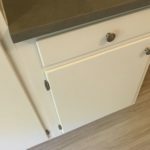 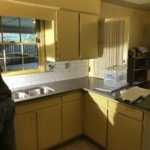 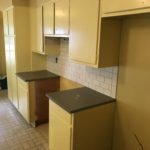 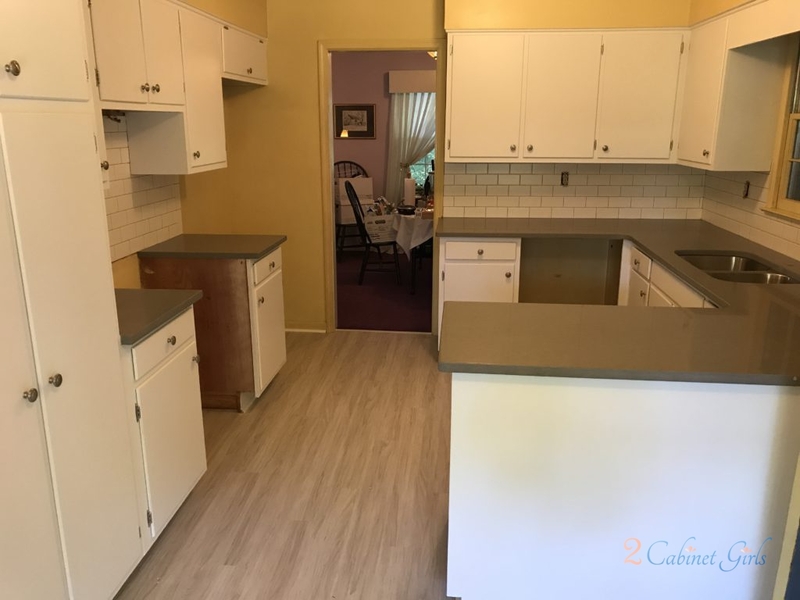 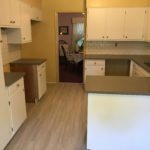 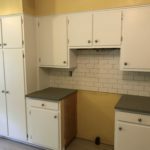 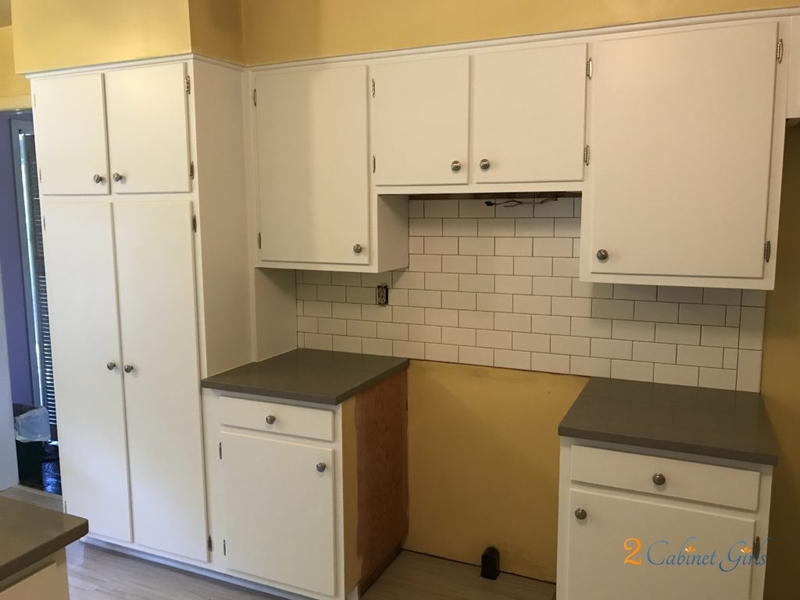 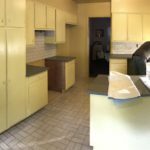 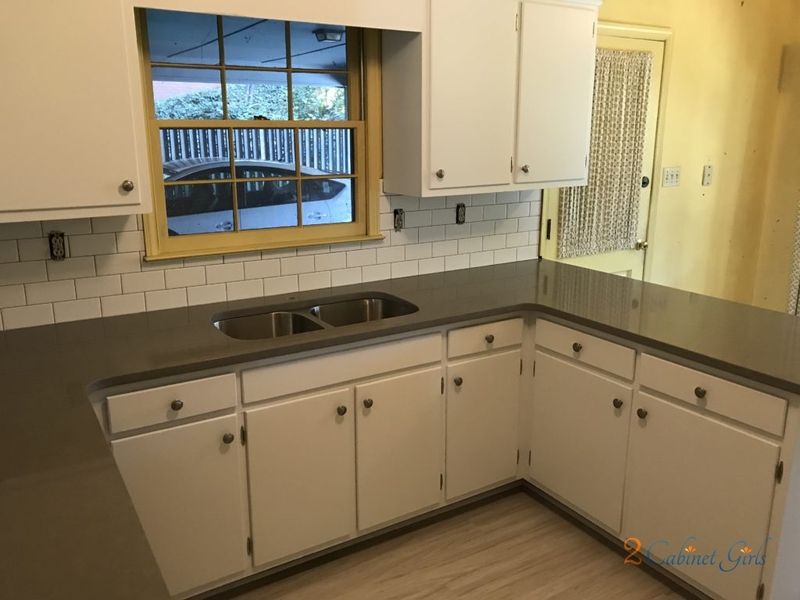 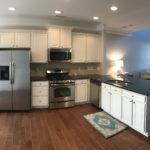 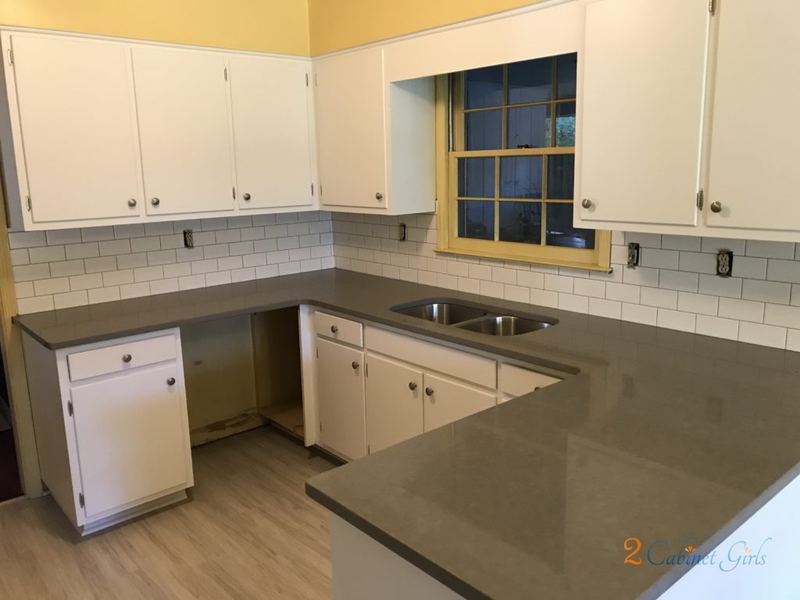 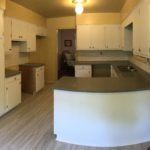 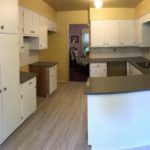 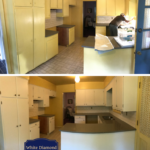 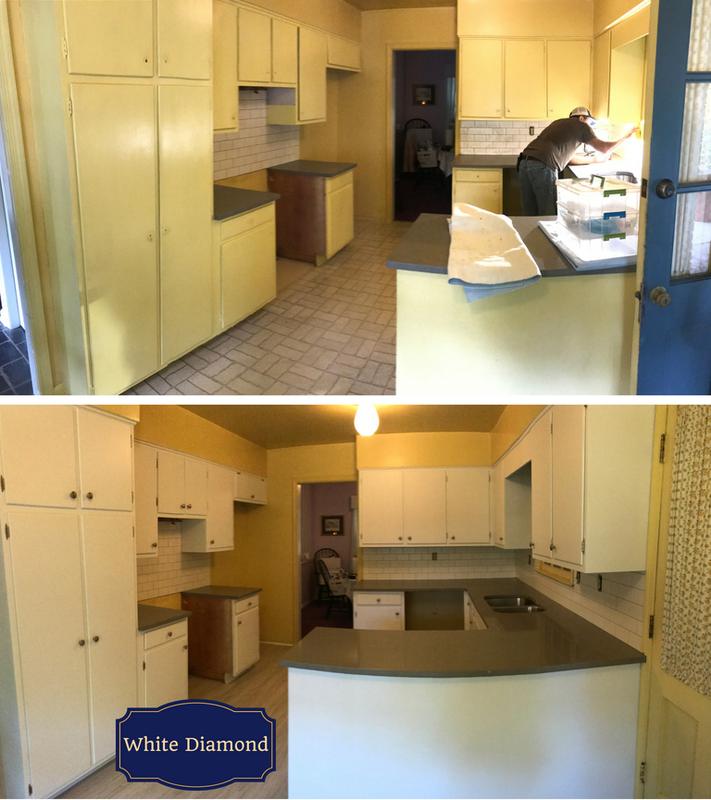 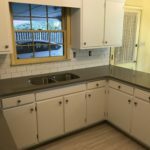 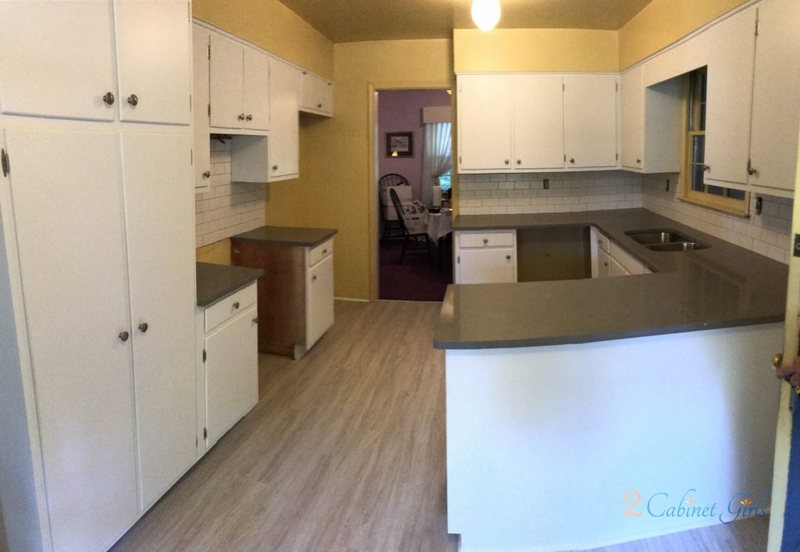 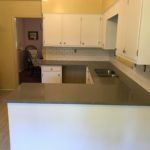 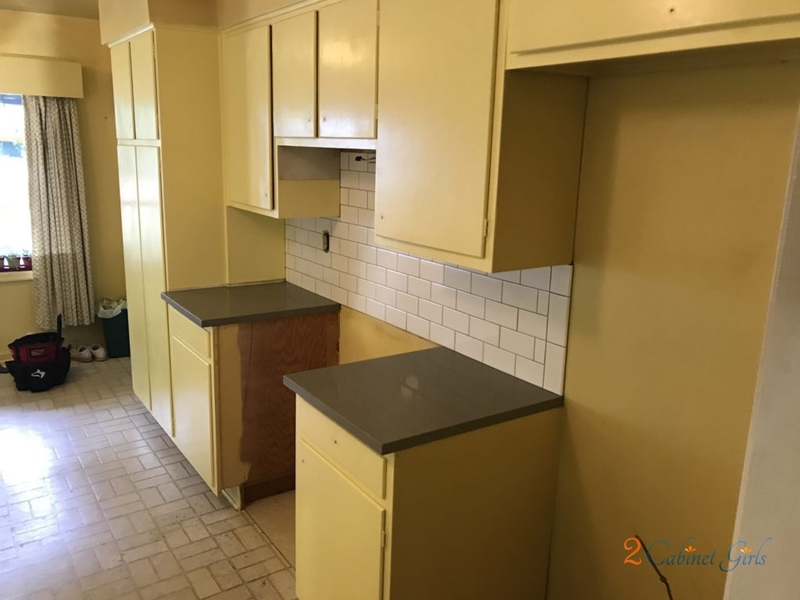 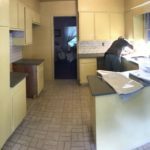 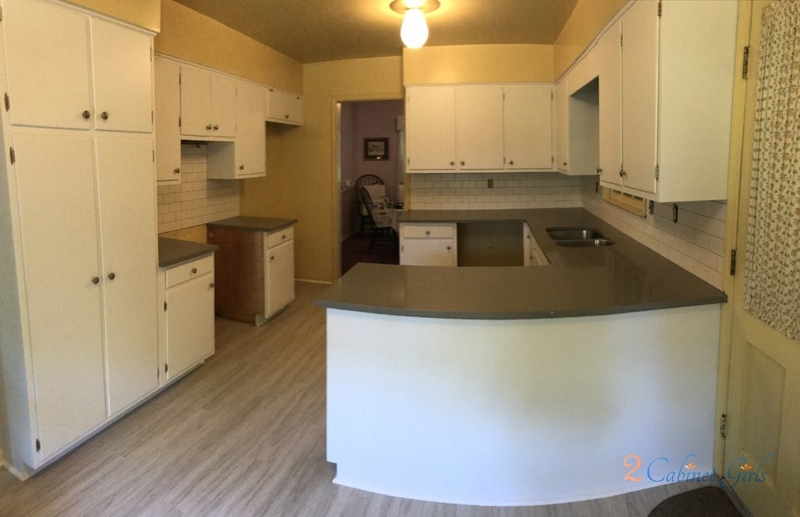 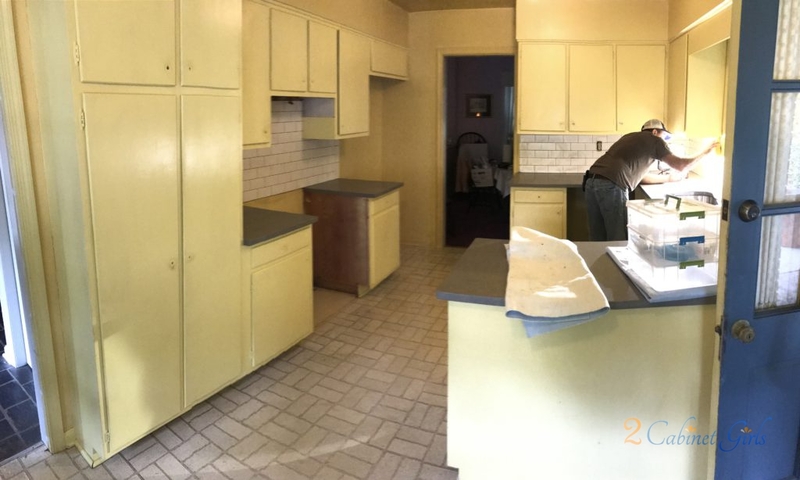 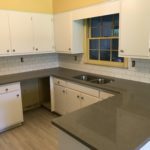 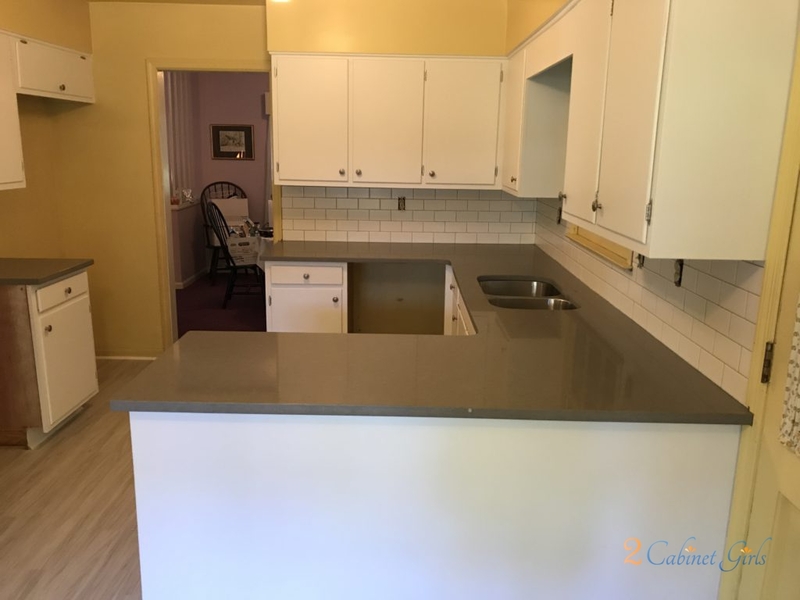 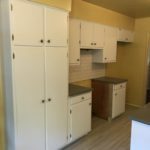 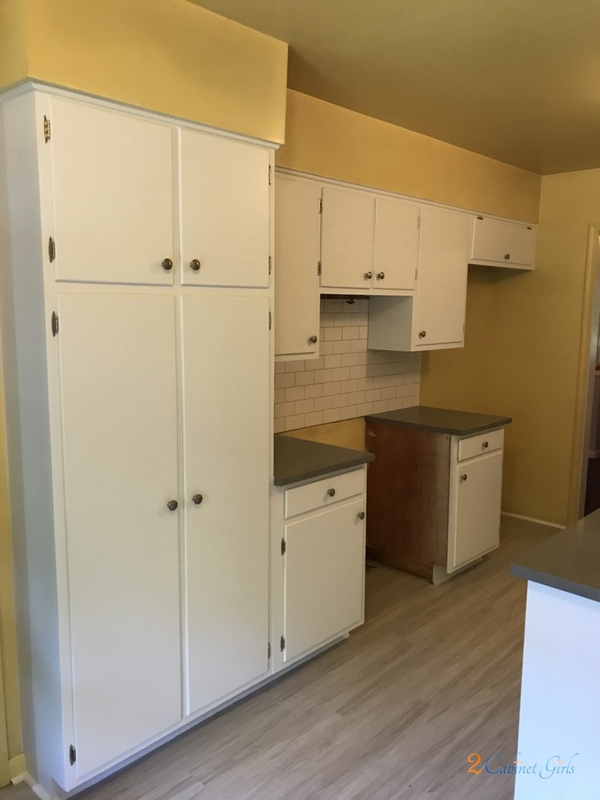 This dated, 1960s kitchen, was long overdue for an update. 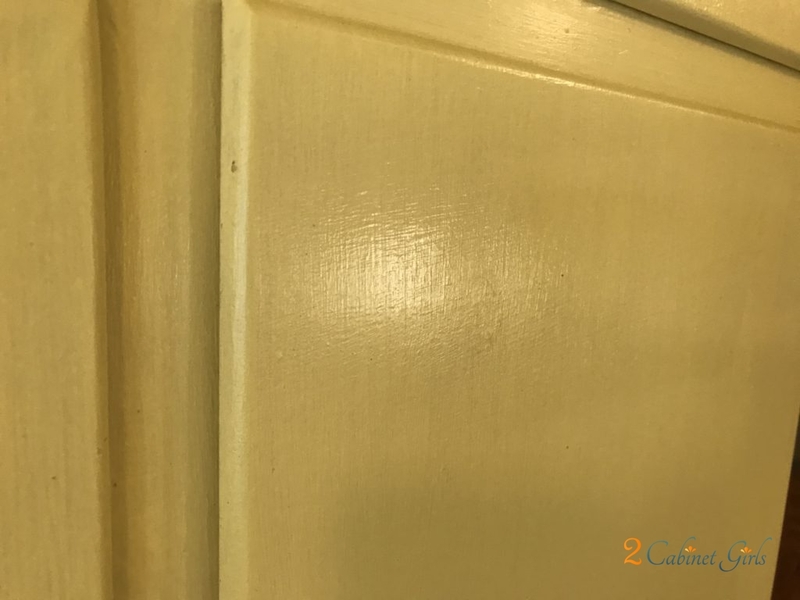 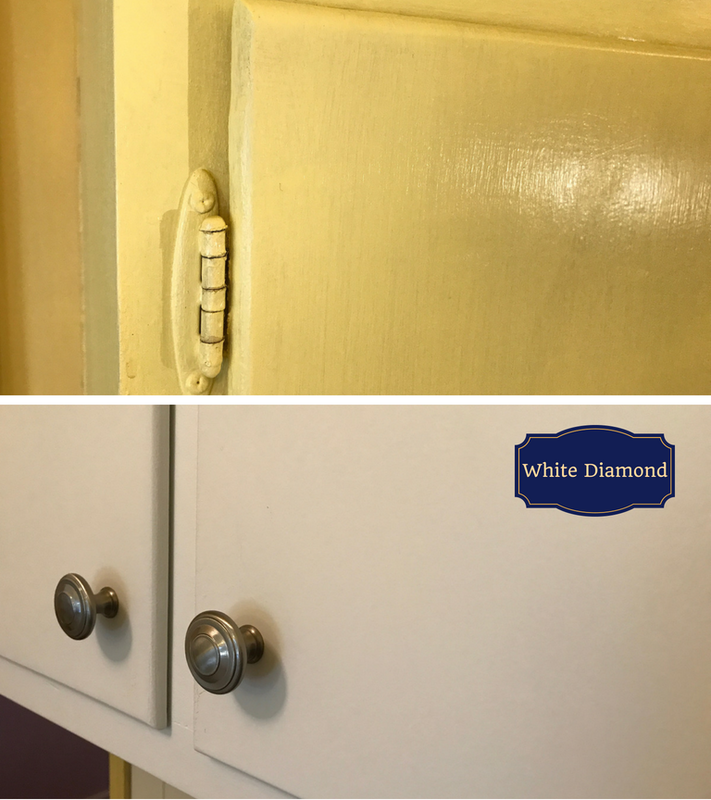 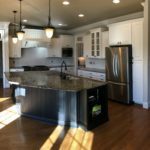 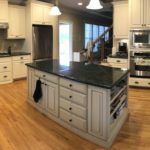 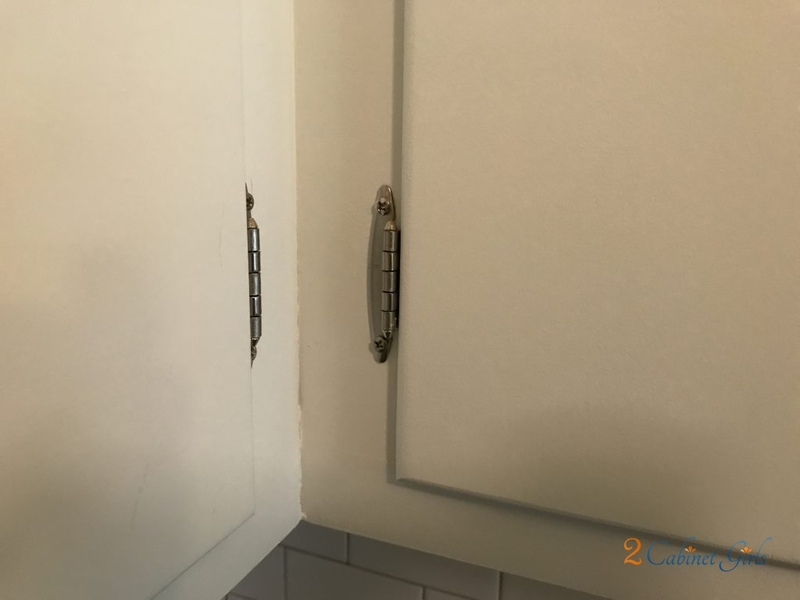 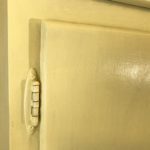 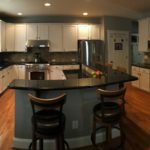 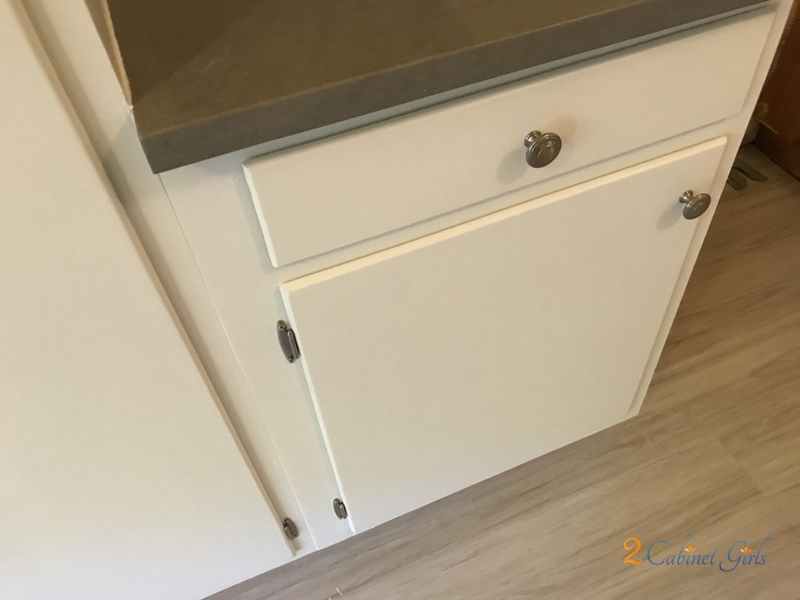 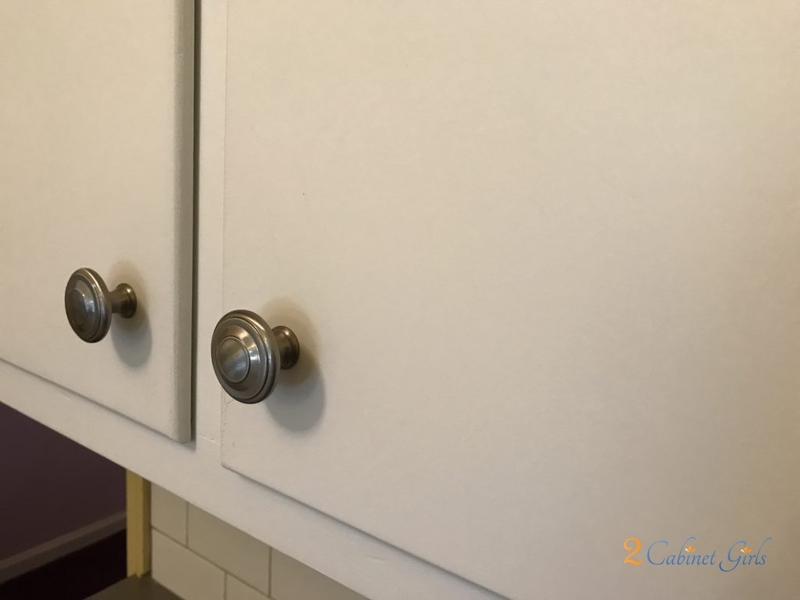 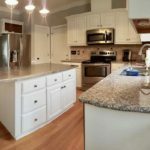 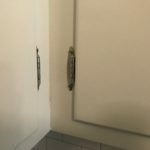 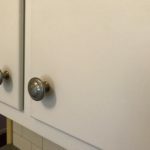 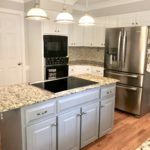 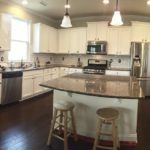 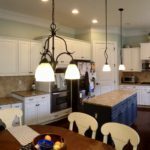 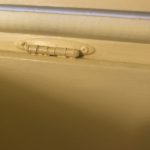 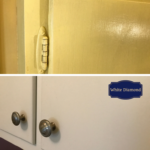 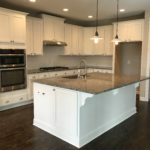 Previous owners had attempted to paint the cabinets themselves at one point but the results were a super shiny, streaky, bright yellow mess. 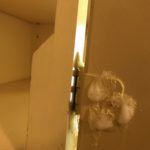 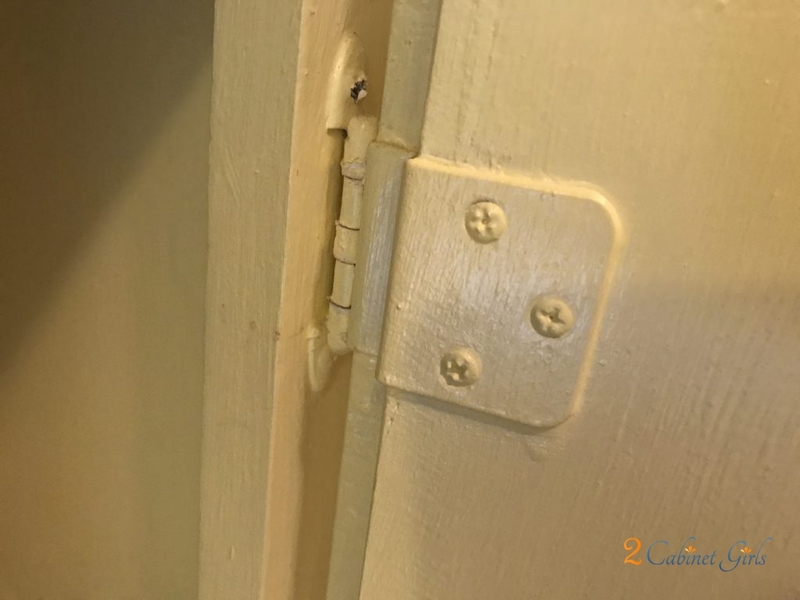 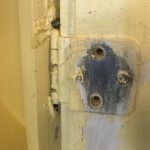 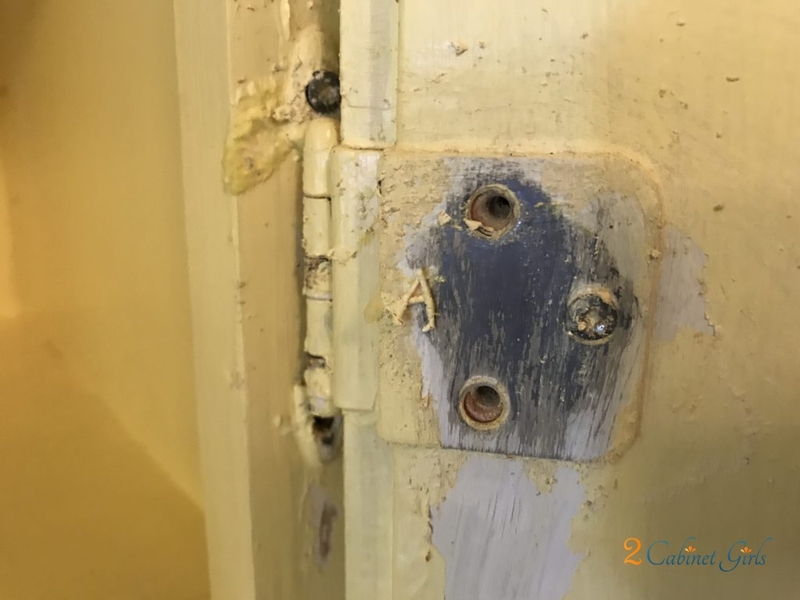 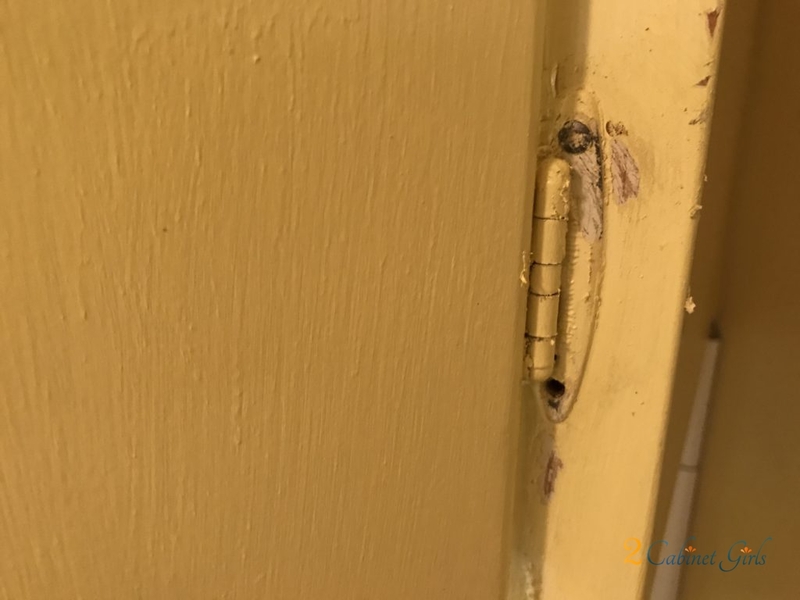 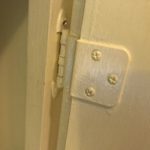 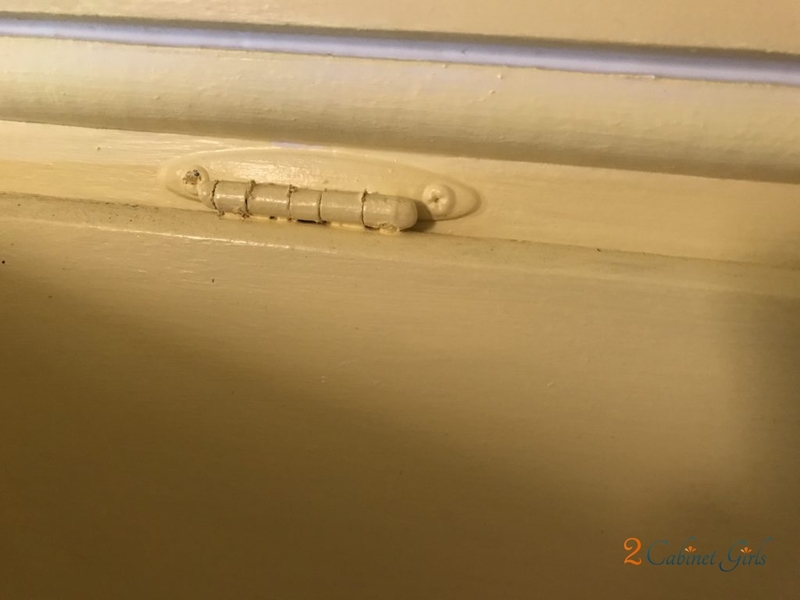 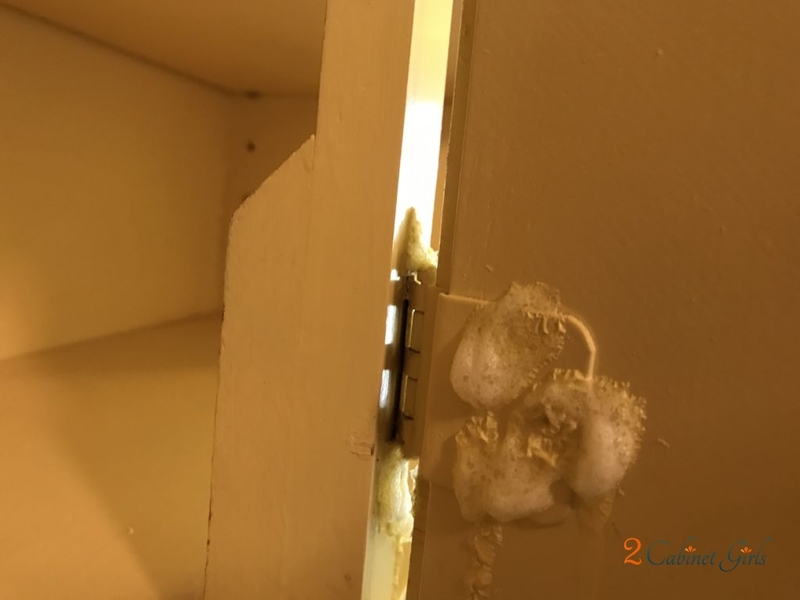 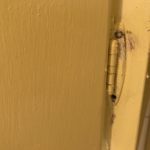 We had our work cut out for us, just removing the old hinges with all the caked on paint. 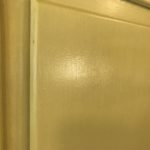 And then we had to smooth out all the brush strokes and drip marks as well. 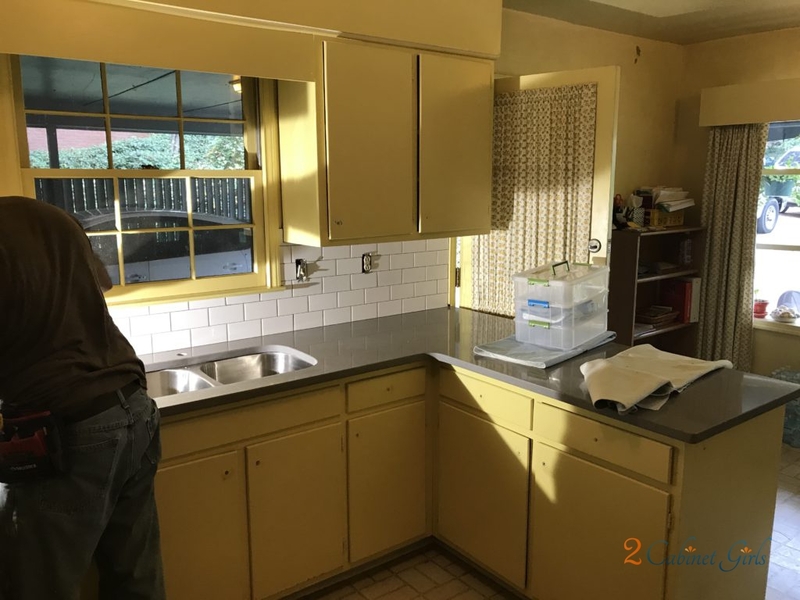 But the results are nothing other than amazing. 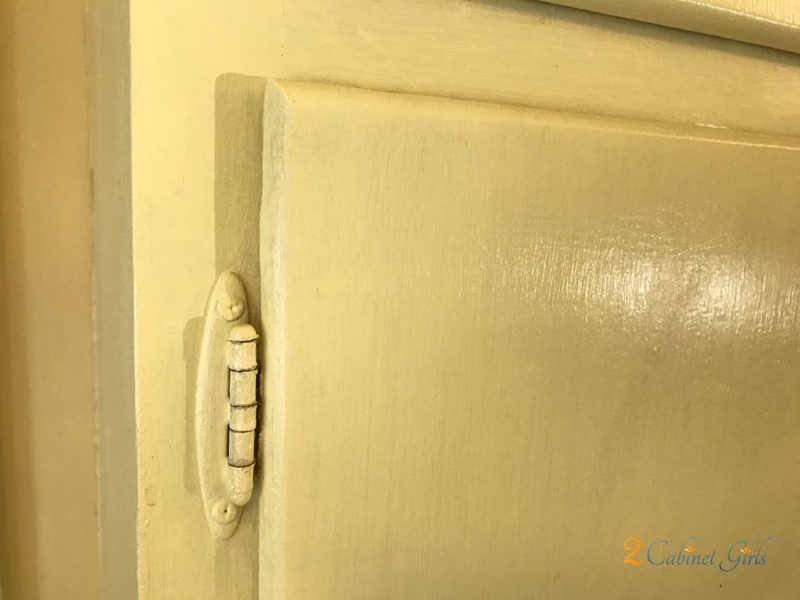 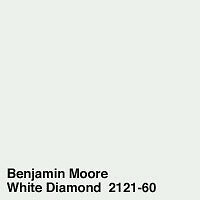 A nice, super smooth satin finish. 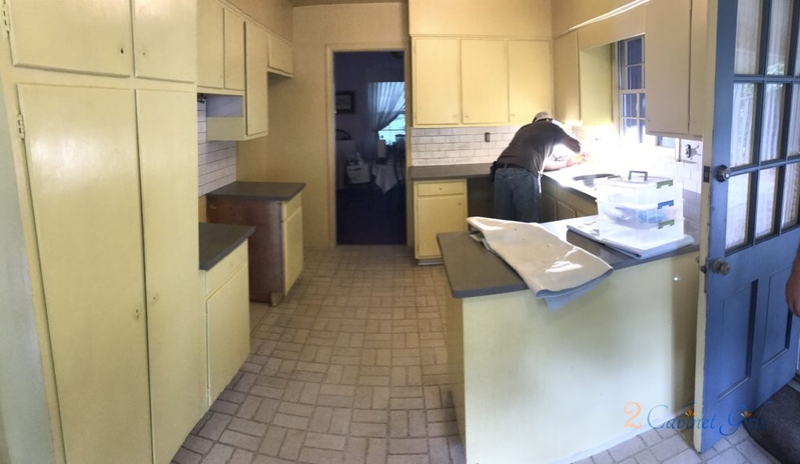 And still in keeping with this mid-century home.